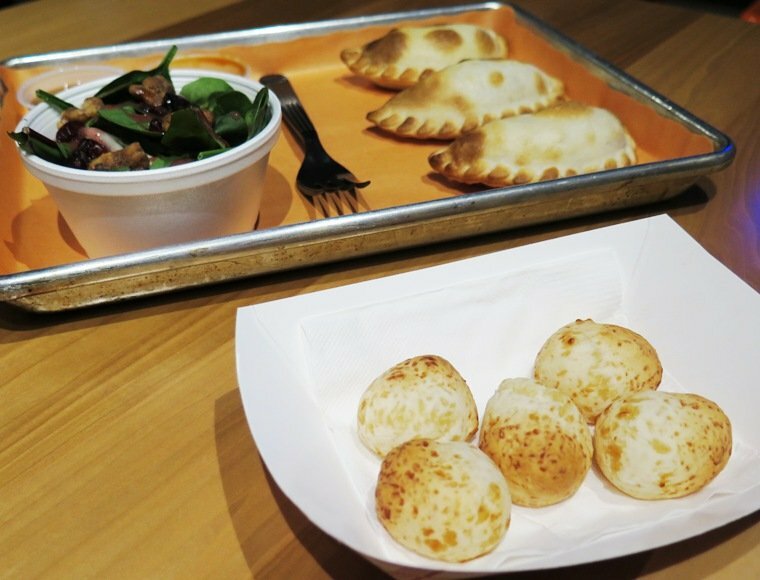 If you’re a fan of empanadas (stuffed pastries) you can often find them at many Latin American restaurants in the area or an empanada specialist like Calavera in Raleigh. 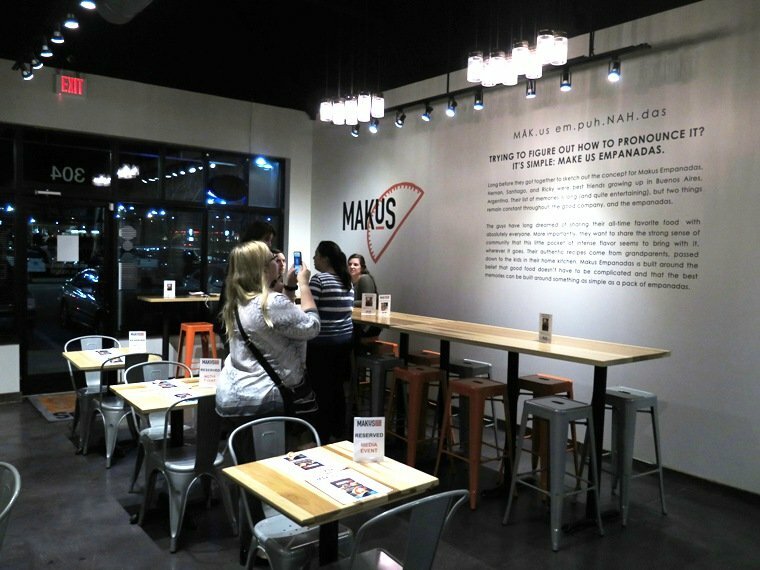 So I was intrigued when I got the invite to check out Makus Empanadas over in Durham. I had heard a bit about them online as being an Argentinian style empanada so I was pretty excited to go check them out on a Wednesday night for a media event! 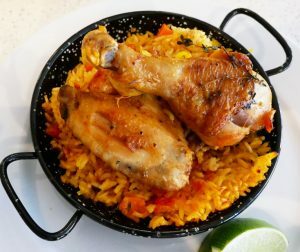 Located in a new strip plaza in Durham’s Hope Valley neighborhood along with some other cool spots like Tre Forni Pizza, Makus Empanadas sits in the back corner of the plaza with a brightly lit sign overhead. Inside I meet up with Tessa, the event organizer along with quite a few other friends, bloggers and media types (Meg – MeghereandThere, Jennifer – ShopLocalRaleigh, Kristen – GadaboutFood). 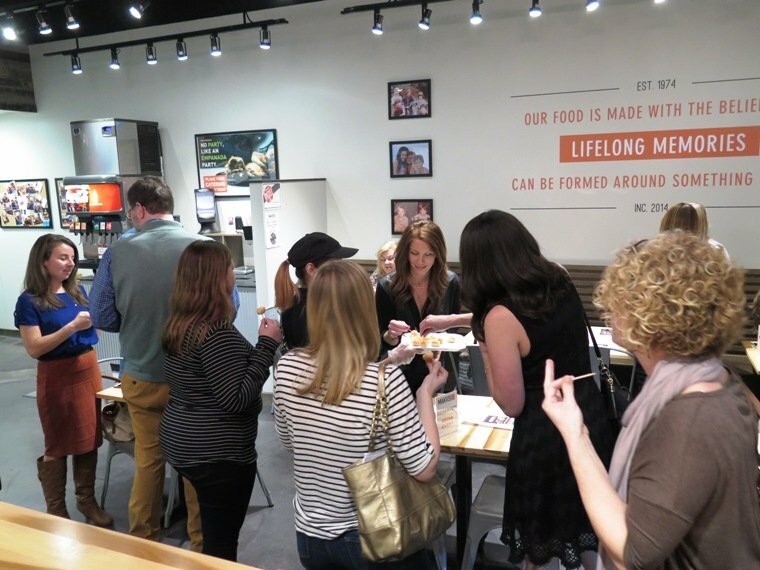 The space is small and cozy, a casual dining area with counter order in the back. It’s a cheery space and bustling with activity, this media event unfortunately means some customers will have to take their orders to go! 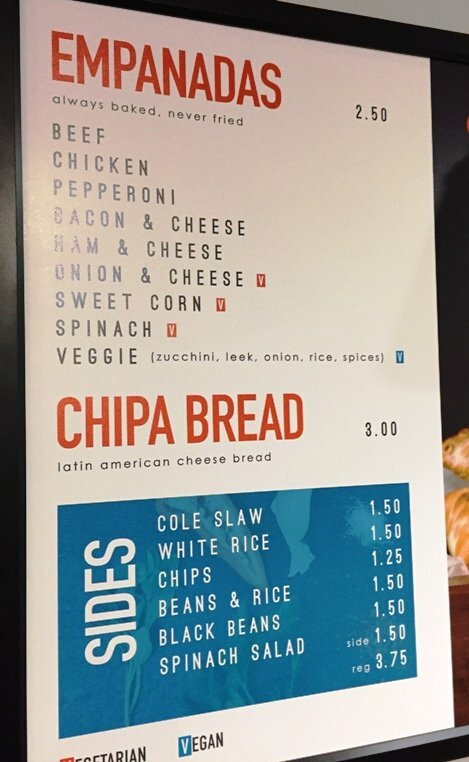 Before the event had officially started, Makus Empanadas had sent out some samples of their chipa bread which is similar to what I would call pao de queijo or cheese breads. These breads are soft, stretchy and luscious, dee-lish! Definitely try them out, they’re not that easy to find in the Triangle. And then the fresh-baked empanadas are brought out to the dining room. An array of baked treats across the nine flavors that Makus offers. 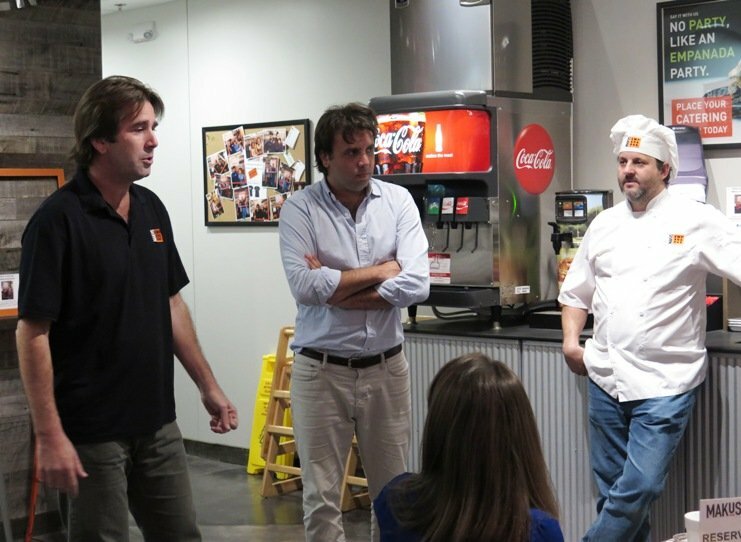 Traditionally, the most popular flavors would be beef along with ham and cheese in Argentina. But Makus has added some variety for the locals including a pepperoni and bacon-cheese empanada to the menu. 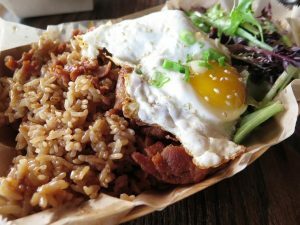 Makus also offers a lunch special for $9.95: three empanadas, a side, drink and sauce. So as I’m in line waiting to choose my meal, it’s a bit tricky. With all these flavors, do I go traditional or spin it up a bit?! Ahhh, I think since this will be my first Argentinian empanada, I’ll go with the basic beef, ham and cheese along with a sweet corn empanada for good measure! 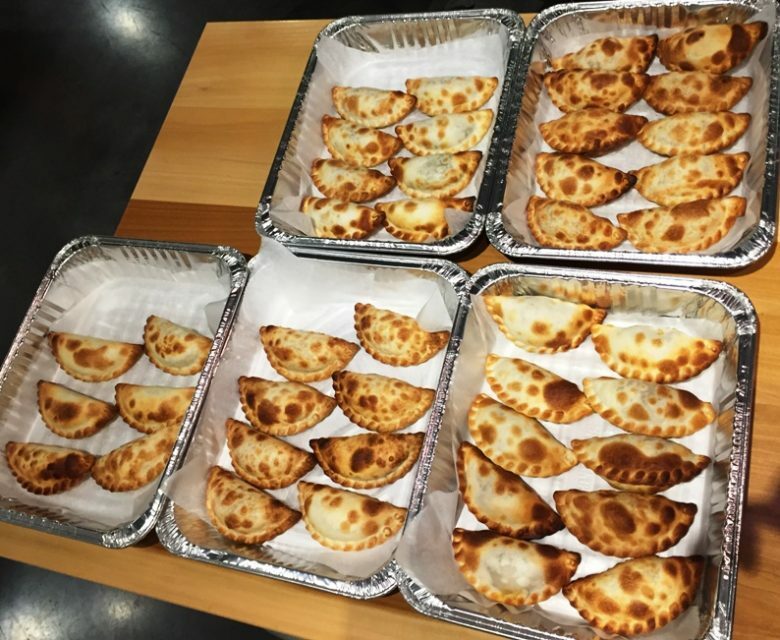 Makus empanadas are baked and sport a nicely crimped crust around the half-moon shape. The dough is thin and tender but sturdy enough to hold the delicious fillings. At about 6″ or 7″ across, I’m thinking three of these should fill an average appetite up for lunch. And while the empanadas are beautiful with their leopard spotted crusts, I break mine open to get a look at the fillings inside. 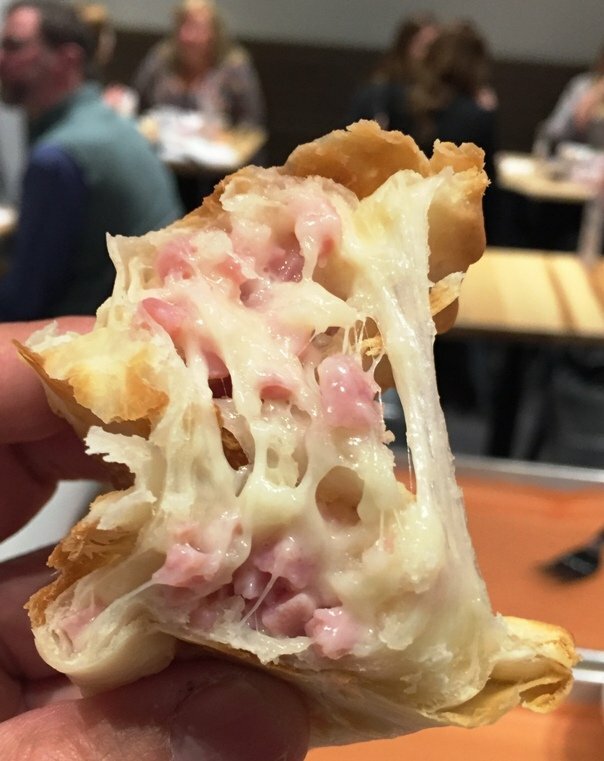 The ham and cheese empanada is beautiful! Luscious cheese contrasted with bit of pink ham for a delectable handful. 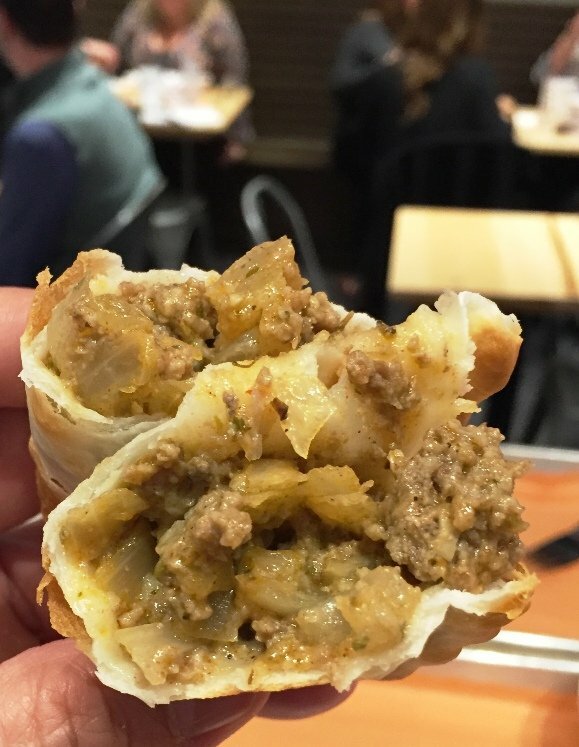 The beef empanada shows off chopped onions and beef in a savory sauce. 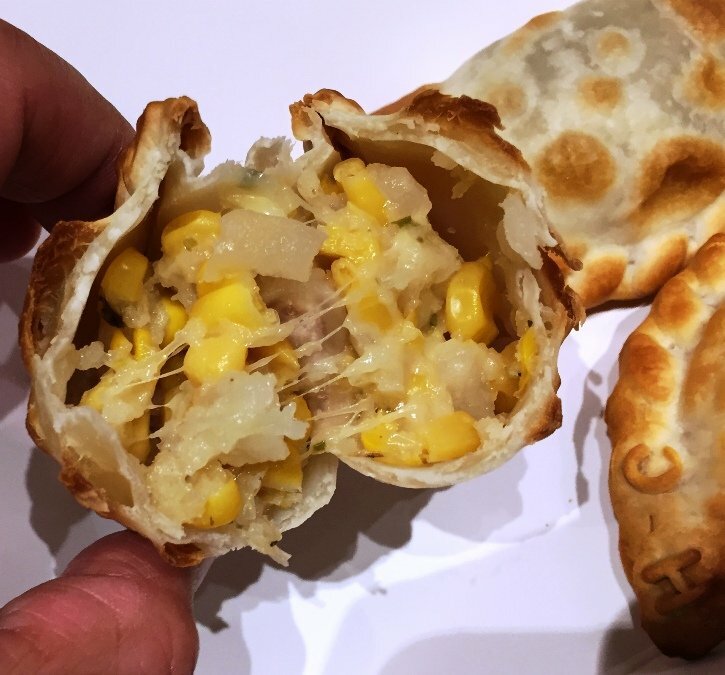 And I love the the sweet corn empanada which is a nice change of pace from all the savory meat and cheese, bueno! Overall I found the empanadas at Makus to be very nicely baked with a tender crust as the gastronomical foil. 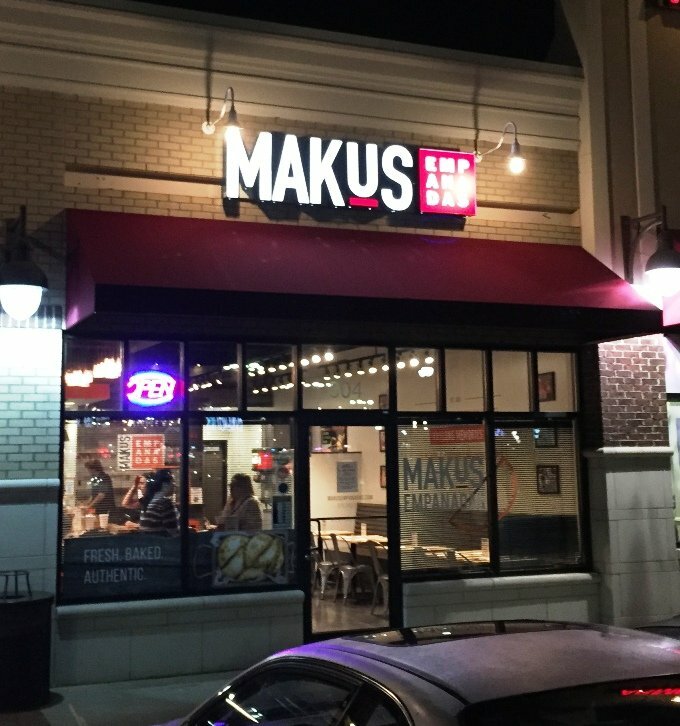 While Makus Empanadas now has a nice storefront, they started their business in catering and have their baked treats available at a variety of venues including PNC Arena, Durham Bulls ballpark, Kenan Stadium and the Dean Smith Center. And empanadas make for a great food to be eaten out of hand so it’s a perfect snack while you catch a game. So thank you Hernan, Santiago and Ricky for the fun evening. 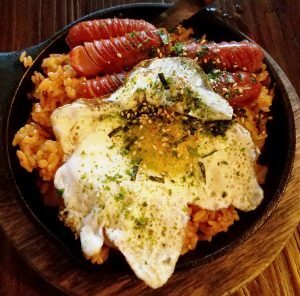 And for all of you savoring over these empanada pictures, go enjoy these authentic Argentinian treats at Makus Empanadas in Durham and throughout the rest of the Triangle!